While Curiosity arrived at Mars with “seven minutes of terror” as it plunged through the atmosphere, MAVEN—short for Mars Atmosphere and Volatile EvolutioN—will gently swing into orbit. Fox has been preparing for the mission for years, and she looks forward to more years of study and discovery—if all goes well. The odds are sobering. Of all the spacecraft Earth has fired at Mars since 1964, more than half have failed. “I’m just hoping it gets there. Hoping it goes into orbit and its instruments deploy properly,” she said. 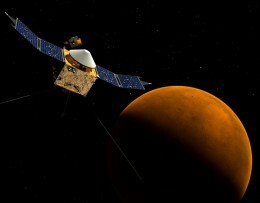 The $438 million MAVEN is a much more modest mission than the $2.5 billion Curiosity rover. It has no wheels, no drill, no rock-blasting laser. In appearance, it’s basically a box with a pair of wing-like solar panels. But Fox thinks the data MAVEN beams back will be just as important in helping scientists understand Mars’ past—and whether life was ever possible there. The Laboratory for Atmospheric and Space Physics at the University of Colorado at Boulder manages the science side of the program, led by principal investigator Bruce Jakosky. Several teams of scientists are involved, most focused on one or another of MAVEN’s eight instruments. Fox is on the interdisciplinary team, one of five scientists at different universities who will use the data MAVEN sends back to carry out scientific investigations. A Wright State faculty member since 1995, Fox has been studying the upper atmospheres of Mars and other planets since the 1970s. 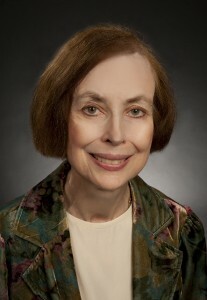 Her computer models have helped explain the observed behavior of particles in the ionospheres of Mars and Venus, and they have helped frame the questions for subsequent missions, including MAVEN’s. Fox said she and other scientists on the MAVEN team want to answer one basic question: “How did the atmosphere of Mars evolve over the last 3.8 billion years?” That’s about when Fox and others believe the atmospheres of the solar system’s inner planets formed. The surface-level air pressure and temperature on Mars today are too low for water to exist in a liquid state—a key condition for life, many scientists believe. But orbiters and rovers have found strong evidence that water once flowed on Mars. How could that be, unless Mars’ atmosphere was once thicker and warmer? And if that was the case, what happened to it? Fox hopes MAVEN will provide the clues that allow her and other scientists to answer those questions. By studying the escape rates of atoms from the top of the atmosphere into space, she hopes to be able to backtrack through time to learn what the primordial atmosphere of Mars was like—and whether it could have supported life. MAVEN’s arrival at Mars will lack the spectacular maneuvers that made Curiosity a media star, but it will face its own perils. The spacecraft’s orbit will take it as low as approximately 93 miles above the surface, within the upper atmosphere of Mars. NASA plans to send it even lower in a series of “deep dips” to take measurements down to 78 miles. Each dip will subject the boxy spacecraft to higher atmospheric drag. 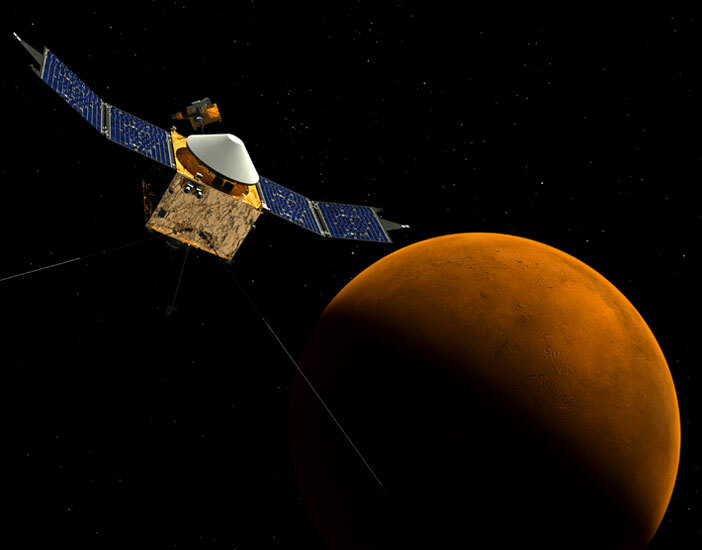 A miscalculation might require MAVEN to fire its thrusters to compensate—and its propellant supply is limited. “We can’t get too low or we’ll lose the spacecraft,” Fox said.